The «47 Luxury Suites & Lofts» is situated in the heart of Athens, only a breath away from the historical center and only 150 meters away from Technopolis in Gazi, a modern and preserved historic monument where events, concerts, painting exhibitions, art bazaar and fashion shows take place. Around Technopolis and within walking distance, a whole neighborhood has been developed and hosts classic as well as alternative café, gourmet restaurants, bars with all kinds of music, art galleries, museums and cinema that will satisfy every age and intellectual and economic background. 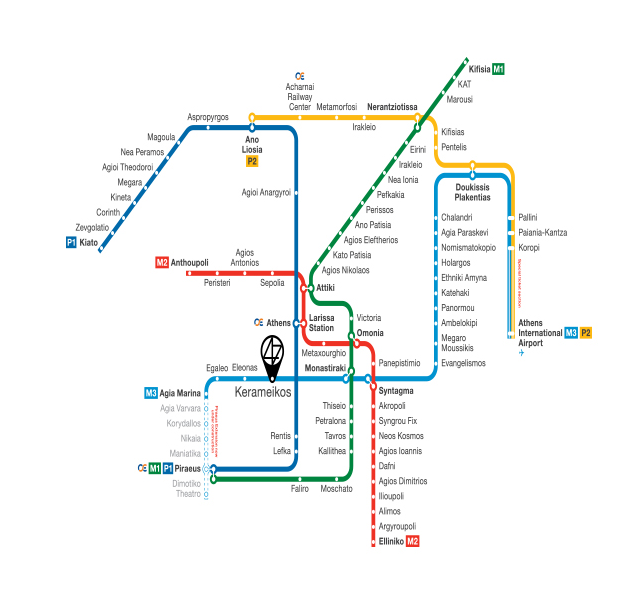 The Keramikos Metro station, just 2 minutes walk from the Suites, offers the visitor the ability to move to the state-of-the-art network throughout the city and arrive in just 8 minutes at the Acropolis Museum and the famous Plaka, while Syntagma Square, the most central meeting point of Athens, is accessible in just 7 minutes through the same Metro station. Alternatively, the distances are basically nothing when using the luxury cars and the "executive transfer" service we can provide to you and your loved ones throughout your stay. 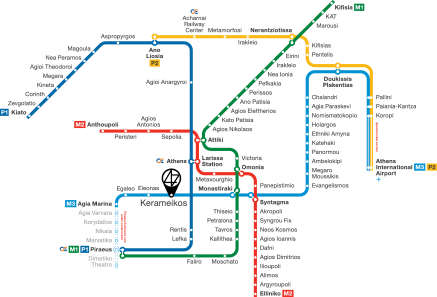 To visit the sights of this list embark at Kerameikos METRO station & follow the metro lines as mentioned in the table.